Welsh First Minister Carwyn Jones last night confirmed his new frontbench, including a place for Welsh Lib Dem leader Kirsty Williams. Labour denied the move constituted a formal coalition, and stated that it was committed to fulfilling the manifesto it was elected on, but said that there was need for greater “constructive collaboration” in the Assembly. This follows days of talks with Plaid Cymru, the new official opposition, which led to an agreement not to pursue any legislation in the first 100 days while an effort to develop a tougher scrutiny and committee procedure for new laws is developed. 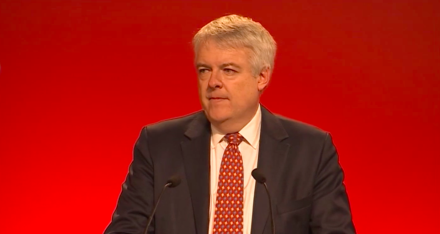 Jones last night conducted his reshuffle, handing the education brief to Williams, in a move he says heralds “a new era for Welsh politics”. As she was the only Lib Dem elected on May 5, her appointment still leaves Labour two short of an overall majority in the Senedd, but does ensure that Jones’ frontbench has a 50/50 gender split. “Kirsty has a wealth of experience and is one of the Assembly’s most able politicians,” Jones said last night. “There are areas out with the education portfolio where we have had productive discussions, but this invitation to join the Government does not constitute a coalition agreement, both of us are very clear about that – as are our parties. Welsh Labour, of course, remains committed to delivering on our manifesto promises made to the people of Wales.